There are so many good reasons to build cities around walking, cycling, and transit. One of the more valuable contributions of all of these is they help us reduce CO2 emissions. This is an urgent issue and we should be pouring much greater resources into reducing our emissions as much as, and as fast as we can. Bonus: we’ll have cleaner air to breathe, too. But don’t just look around. Look up, look waaaay up. Mass transit, especially rapid rail service, has the potential to replace the use of not just private automobiles, but airplanes. This is a big deal. And it is here that we have a stronger case for high-speed rail—not to replace relatively small-scale commuter routes, but as an alternative on popular regional routes that are “short-haul” for air travel, like Toronto-Ottawa or Toronto-Montreal. Rail travel is also a more spacious, less stressful experience. By going from city centre to city centre, it usually reduces the number of legs in a journey—plus, it’s usually cheaper! In 2010, Robert Presser noted that “the Montreal to Toronto air route is currently the 15th busiest in the world, with 480 flights per week—representing approximately 3.75 million one-way trips per year.” According to Wikipedia (sadly, the only place I could find this), in 2013 there were as many as 106 flights per day between the cities, making it the 11th busiest route for aircraft movement. Currently, VIA rail gets you from downtown Toronto to downtown Montreal in just under five hours. Add 30 minutes of getting there early and call it five-and-a-half hours. For a similar distance, the train from Edinburgh, Scotland to London, England is just under five hours, though the faster trains make it in about four hours, 20 minutes. New trains are promising even less time—four hours. There, the train has a further advantage, because the rail line is more direct than the roads, making the distance about 100 kilometres shorter than driving. We can match or best those times. With high-speed rail, a travel time of close to three hours is possible from Toronto to Montreal. Compare that to flying: if you go from the Island airport, you are asked to be there at least one hour ahead, the flight is one hour and 10 minutes, and then you have to get downtown from Dorval. Traffic will depend on time of day, but you should allow at least 45 minutes. All together, it’s about three hours. That comparison would persuade a lot of people to take the train instead of a plane. A report put out this month by Transform Scotland gives us some idea of what is possible. In 10 years, they have increased the share of trains relative to airplanes between Edinburgh and London from 24 per cent to 34 percent. Their goal is to reach 50 per cent share by 2023, by getting travellers to take the train instead of flying. They calculate that flights produce about five times the carbon emissions of rail per passenger, so the switch makes a difference. Meeting the 50 per cent goal between those cities alone would reduce CO2 emissions by over 300,000 tonnes over those eight years—which is the equivalent of taking 17,500 cars off the road each year. It’s probably not realistic to expect people to travel less; the Transform Scotland report assumes the travel market will continue to grow by two per cent per year. The Toronto-Montreal flight corridor is even busier than Edinburgh-London. This is where the comparator of Edinburgh-London/Toronto-Montreal comes in handy: it gives us a rough idea of what the emissions savings might be here. In fact, the Toronto-Montreal flight corridor is even busier than Edinburgh-London, so a similar decrease in the number of flights in favour of trains between the two Canadian cities could reasonably reduce our emissions by 40,000 tonnes per year. There’s also good reason to believe that better train service between Toronto and Montreal will get a good number of people out of cars, too. A three-hour journey is better than spending five or more on the highway, especially in holiday weekend traffic. On the positive side, Ontario’s closing of its coal plants has been called “the single largest greenhouse gas reduction measure in North America.” It led the way in an emissions reduction of nearly 20 per cent in energy production between 2005 and 2014, or the equivalent of about 700,000 cars off the road per year. The province overall only reduced its emissions by seven per cent, or about 250,000 cars per year. So, yes, this would be a small splash in a larger program. But it’s still worth doing. One of the greatest things about the Transform Scotland report is its unbashed ambition and pride in the big numbers of reduced emissions. I rarely hear that kind of talk in Toronto—or Canada, really. The Transform TO program has some admirable ambition, but it’s not clear it will be fully implemented and all the language around it seems cautious. It doesn’t feel like all of Toronto City Hall feels the urgency or pride of doing everything we can to fight climate change. 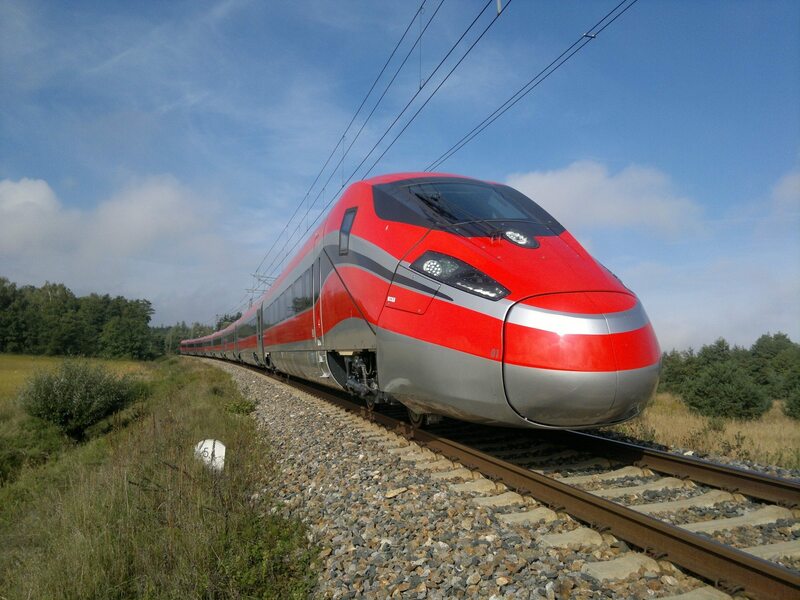 High-speed rail between Toronto and Montreal would not come cheap. An estimate in 2010 put it at $16.7 billion. It would be more now, obviously, and we should probably assume, that like almost every major infrastructure project in the world, it will go over budget. So this investment will cost a lot, but given its economic and environmental impact, both provincial governments and the federal government should step up to make it happen. And if you think climate change isn’t going to cost, and cost much more, well, I’ve some waterfront property to sell you in Miami.